So buckle in and get ready for this awesome ClickFunnels tutorial for beginners! Maybe you’re into copywriting, or maybe you want to build a sales funnel for your business – but somewhere along the way you heard of this ClickFunnels thing. 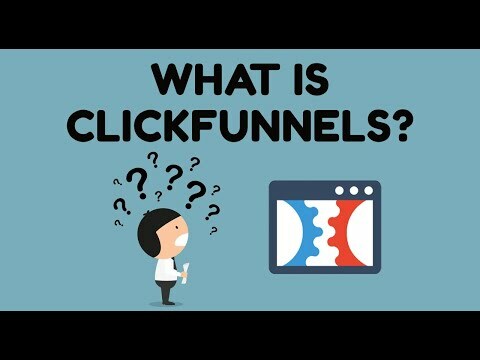 And you’re wondering to yourself: what is Click Funnels? ClickFunnels is a software suite that you can use to build elaborate sales funnels. These are a series of one-page websites with lots of sales copy written in a way to persuade the reader to take action. Sometimes the action is opting in to an email list. Sometimes the action is buying a product. The great thing about ClickFunnels is that they’ve created a framework for you to build complex sales funnels quickly and easily. All you have to do is substitute some words to make the sales pages unique to the product you’re selling and you’ve got a working funnel.